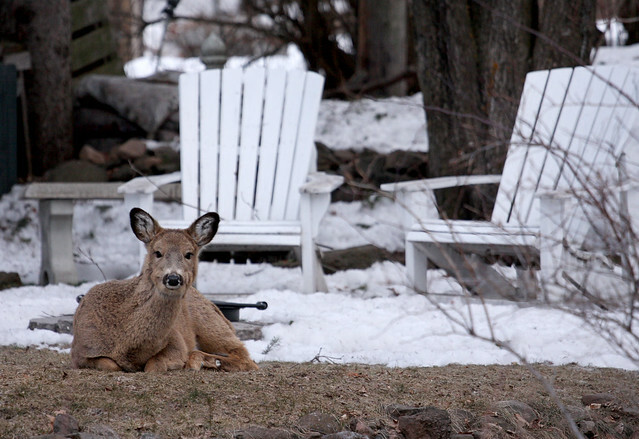 The local deer population seems to think that our backyard (and our neighbor’s) is the hip place to hang out. 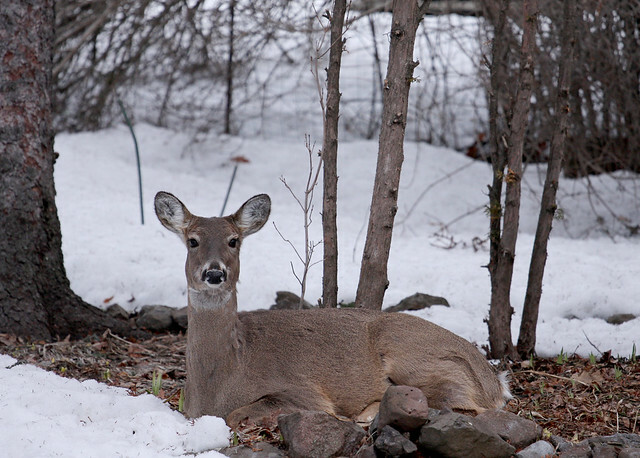 We have daily sightings of up to six deer at a time. I spotted these two at 6:00 a.m. earlier this week. The first one was lying on top of the tiny irises that had just started to poke through the frozen ground. The deer didn’t mind that I was taking photos and I was within 30 feet of them when Sophia let Daphne out in the backyard. They got up and wandered over to the neighbor’s two doors down and were still there when I left the house with Sebastian at 8:00 a.m.